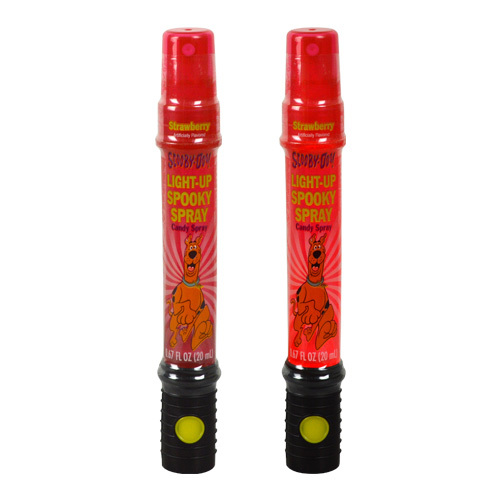 Illuminate your spray candy! 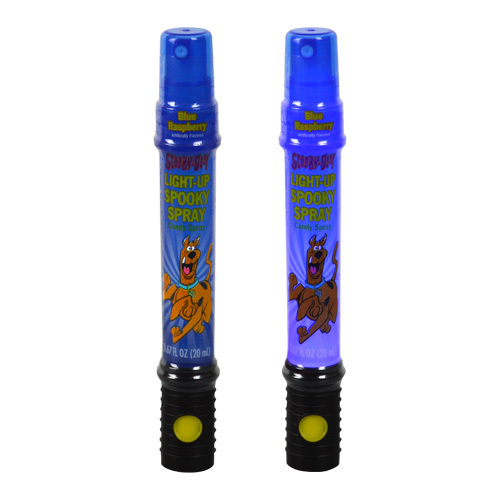 Simply push the button while your taste buds jump for joy with our refreshing Scooby-Doo!™ Light-Up Spooky Spray Candy Spray. 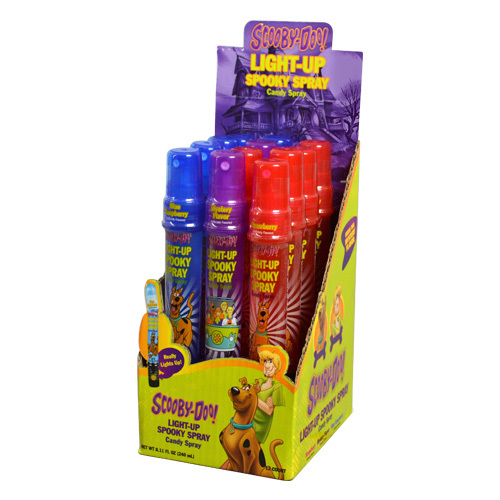 Scooby-Doo light-up Spray Candy may be enjoyed in three delicious flavors: Strawberry, Blue Raspberry & Mystery flavor. 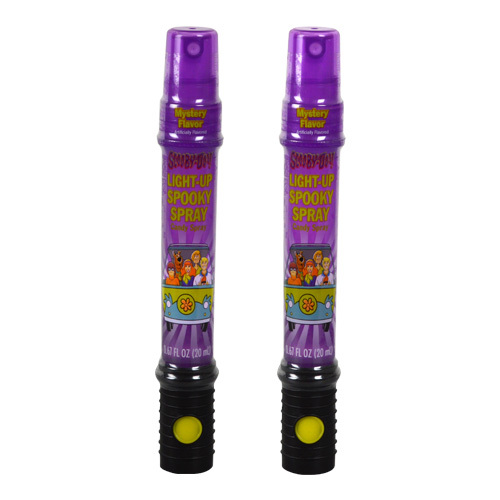 Can you guess what the mystery flavor is? Get the latest updates from Koko's Confectionery & Novelty straight to your inbox. SLUSH PUPPiE, DC Comics, Scooby-Doo! & Smarties.